Saffron Tree: Not a Box....Now THAT'S thinking out of the box! Not a Box....Now THAT'S thinking out of the box! 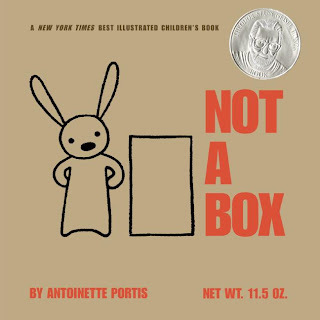 Not a box by Antoinette Portis captures the childhood magic for children everywhere who love playing "in" cardboard boxes. If your toddler/preschool kid already is into creative play with cardboard boxes (or even laundry baskets), you'd probably want to consider this book because he/she might very well be able to relate to the hero of this story - a little rabbit/bunny whose playful fantasies center around imagining a cardboard box to be anything and everything it wants it to be - from a race car to a robot and a rocket, a mountain, and what not. If your kid is not interested in boxes, still a perfect reason to introduce this book because it will open up a new world of creative play for your little ones. For grown-ups amongst us who've outgrown the love for boxes, the book can be a great reason to relive your childhood memories with your children! I found Not a Box to be unique and refreshing in its simplicity. Bunny adores his cardboard box! On each page, bunny is asked what he is doing with the box. For example, when asked by the narrator - "Why are you standing on that box?". Bunny instantly replies it is "not a box". The illustration explains what the bunny is doing with the box. Bunny is desperate in that he wants to get the narrator to see that it's NOT A BOX! 1) The cover is rough brown paper, and mimics the look of a cardboard box. I loved this simple and down-to-earth style cover design, and the book looked as if it has been wrapped in basic, grocery-bag-brown paper. Very unique! Don't miss the net wt 11.5 oz on the cover, which lends a more boxy feel to the book! My older one sometime around her fourth birthday had developed an intense affection toward boxes. She would often be found sitting inside a huge cardboard box - basically it was a computer box in which our desktop had come wrapped in. She would draw, color, and scribble her thoughts away sitting in the box. Sometimes even color the sides of the box. Needless to mention, it was sheer fun for me to watch her antics, and to be amazed by the creative potential a simple box can offer to little ones. She would sometimes even put all her stuffed animals inside, and pretend to drive. Therefore, it was only natural that we would pick up this book from the library. The only downside that I noticed with the illustrations is that it might be hard for a very young child (2/3yr olds) to perceive the drawings as a box. You may want to bring a "real" box to visually explain the book to toddler/preschoolers. It must be easier for older kids (5 and 6 yr olds) to understand the three dimensional drawings - as in how the image of a square transforms into a box. This book is simple and fun, and an unassuming, down-to-earth kind. It will provide you and your kid with tons of ideas to explore during playtime. I think the book conveys effectively to children that "their imagination" matters to adults. And that it is up to us parents to recognize and celebrate the imagination of our children. This message is evident from the fact that the author has dedicated the book "to children everywhere sitting in cardboard boxes". And this she shows to us that she cares! That's a key take-away for me from NOT A BOX! Neatly written. 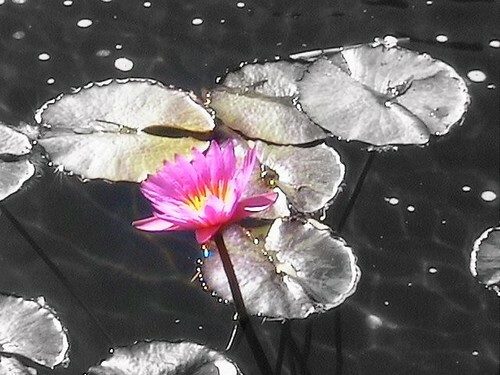 And needless to say, an uncommon subject with imagination galore! One of the videos that my DD used to watch included creative play using a CB box and we sincerely tried it around the time she was 2-2.5 yrs old. However the laundry basket seemed to have won the war. I am with kodi's mom on giving it another shot! What an immaginative book! I am sure we all have memories of playing with a cardboard box. My 2 yr old son has spent many hours playing with boxes (and packing peanuts). Althought he might be a bit too young, I think I am going to give Not a box a try. Thanks for a wonderful review tharini! Caldecott winners are always a great choice when you pick books for your little one. I like picture books that have a vast age range for readership like Not a Box. So you have a two yr old? There are lot more recommendations for that age group if you dig more inside our website.